Need roofing for your Windsor mobile home or your Windsor single family home? Sutter Roofing and Sheet Metal is a roofing contractor serving Windsor that has developed a solid reputation in the roofing company industry for quality materials and craftsmanship. From asphalt shingles, roofing tile, or tar and gravel, our roofing company will do roofing for your Windsor home the right way. We are an experienced roofing contractor in Windsor that fully understands the components of a long lasting roofing system, and our Windsor clients trust us to do things right. Our number one goal when providing roofing in Windsor is to provide high-quality care and attention to detail to each of our Windsor clients. Since our roofing company began in 1986, we aimed to be the best roofing contractor serving Windsor by providing homeowners with the best systems and materials available. We are proud to say that today, we remain a roofing contractor in Windsor that is known for excellent work. 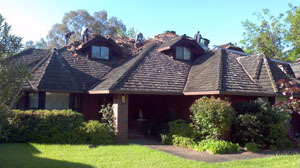 Our roofing company is available in the following Sonoma County locations: Sebastopol, Santa Rosa. Petaluma and Rohnert Park. If you need roofing in Windsor, or would like to see what makes our roofing company special, contact Sutter Roofing today at 707-829-5050 or online. You’ll be glad you did, for we are the one-stop leading roofing contractor serving Windsor!